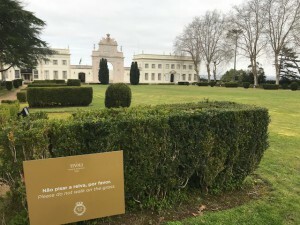 Madonna has ventured outside the invitation-only rope lines, too, in culturally rich and colorful Lisbon – which is the least-visited capital city in Europe. “It seems Madonna has been spotted in the restaurants and even singing in the Fado joints. By all accounts she likes people and they respect her space,” said Joana Jeunehomme, an executive with Tivoli Avenida Liberdade, one of the luxury hotels in the city center where she has been spotted along what is known as the “Champs Elysees of Lisbon.” “I suspect she wants to make a difference by creating a ‘wow factor’ in another country and in an, as yet, authentic, unexploited city.